Fifth and last stop of our Panglao Island Tour, Day 1 in Bohol. We were not able to pass by Panglao Church anymore as it was already late. Our driver decided to bring us to Dauis Church instead. Dauis Church is one of the oldest churches in the country. It was built as early as the 17th century and has undergone many renovations until 1879. The church's interior is very beautiful with its intricate designs. 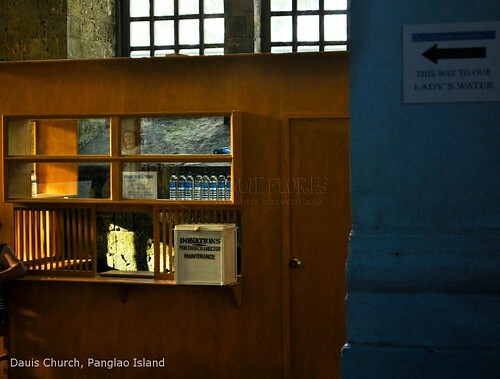 The walls are painted with a cool light blue paint which made the church even more serene. 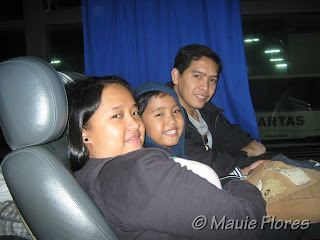 My dad, who recently recovered from a major stroke during the Christmas season of 2008, was with us. I know he prayed fervently to thank God for healing him and letting him walk again. My dad's left arm is still paralyzed, though and he has occasional lapses in memory. The caretaker must have noticed how I assisted my father while we were walking towards the exit. He led us to the back of the church where we were given bottled water which was collected from the well by the church's altar. I immediately remembered the church that was featured in Korina Sanchez's show and the caretaker confirmed that it was Dauis Church. He then led us to the altar and showed us the well where they get the water. The caretaker related that they only collect water during the nighttime when the church is closed. They give the bottled water for free and they only accept donations. We left the church feeling blessed with 6 bottles of miracle water for my dad. View more photos of our 2010 Bohol Weekend Trip here. Dauis Church is located in Dauis, Panglao Island, Bohol. 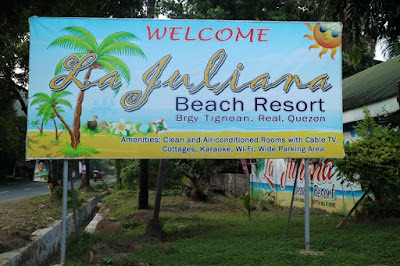 To go there, tourists can rent a tricycle from Tagbilaran City (mainland) or take a cab. It would be best if you visit Dauis Church as part of a van rental package. We got ours for Php 2,200 for 6 hours. Nice photos! 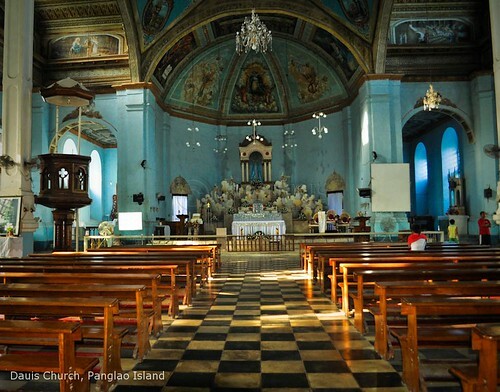 That is an old church, I hope my family and I can go to Bohol someday and see places like this one. Nice photos. I like the one inside the church taken from the back. I hope me and my family can visit Bohol someday. ganda nga ng interior ng church sis.